zipping everywhere are back. Public transit is running, I am struggle through nightly Thai classes once again. Massive numbers of people are helping with cleanup- the city has mobilized many workers and trucks, there have been loads of volunteers and small shops are all cleaning and washing the areas around their business. There have been no fires, sounds of gun battles or conflict this week; the military presence is less and less each day. 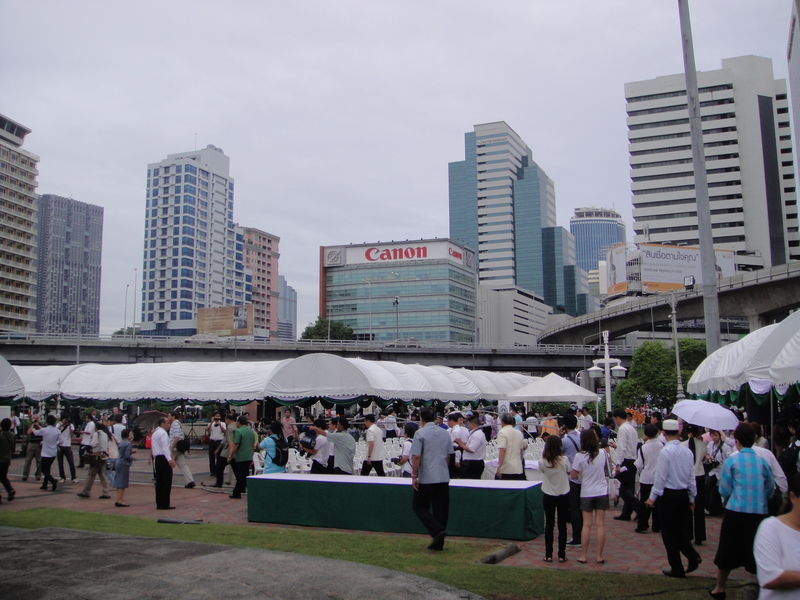 This morning was an amazing ceremony to re-open Lumpini Park. 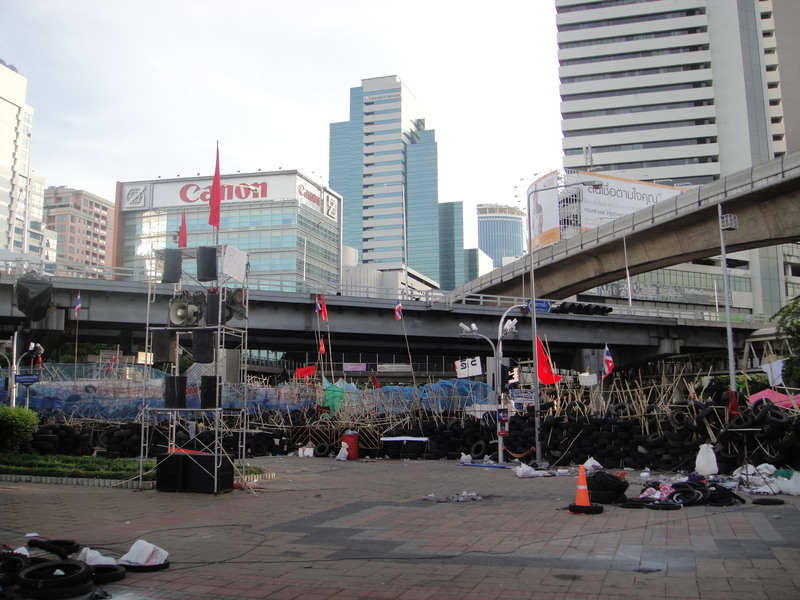 The ceremony took place at 6am with a blessing for those that died in the conflict; the ceremony was held on he corner of Lumpini park at Silom, where the red shirts had one of their largest blockades and much of the stand off took place. What a difference a week makes. The red shirts left the park a mess- trash and rubbish, graffiti, burned tires, trampled flowers and walkways destroyed as the bricks had been removed to be used as projectiles. All has been fixed and it looks great. 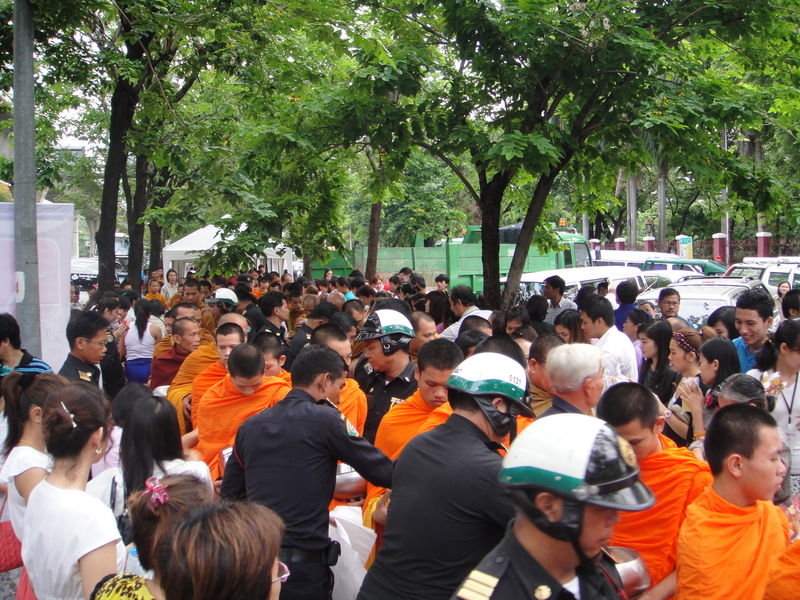 The most amazing park of the morning ceremony- 1,000 monks attending to receive alms and give blessings. 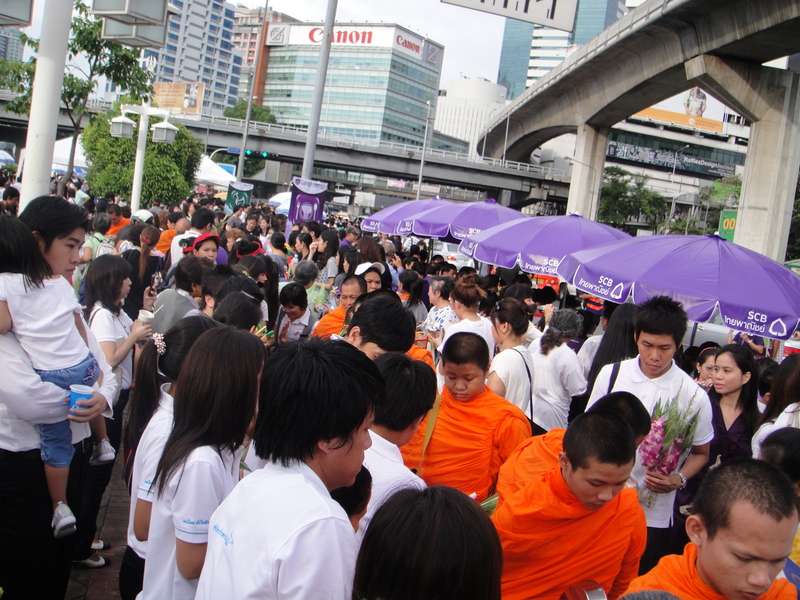 As I wrote last week, the Thai people will make the recovery happen with their desire and attitude. The results in Lumpini speak for what has been accomplished and the morning of positive thoughts and blessings bode well for the future. This entry was posted in Bangkok, Buddhism, Culture, Landmark, Monk, Politics, Sightseeing, Thailand, Wat and tagged Bangkok, Bangkok protest, Buddhism, is bangkok safe, Lumpini Park, Monk, Red Shirt March, Red Shirt Protest, red shirts, Red Shirts in Bangkok, Red Shirts Protest, Thailand, Thailand Politics, travel to Bangkok now. Bookmark the permalink.